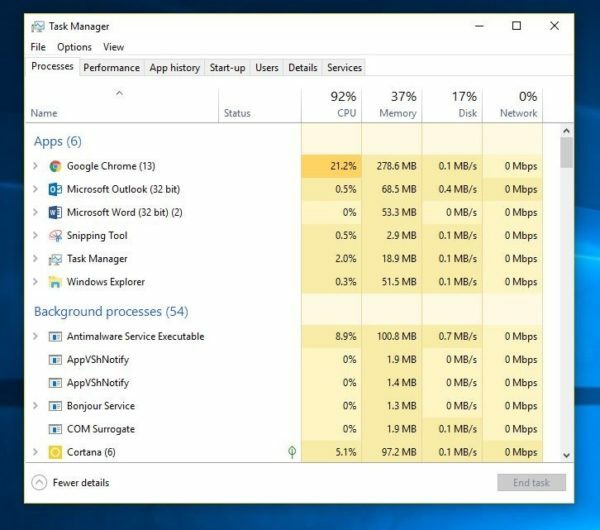 Why is my computer so slow? Whether your PC has just started to run slower or it suddenly ground to a halt a few minutes ago. There are many reasons this can happen. When starting to troubleshoot nearly all computer issues, the first thing you should do is recycle the power (re-boot) your device. 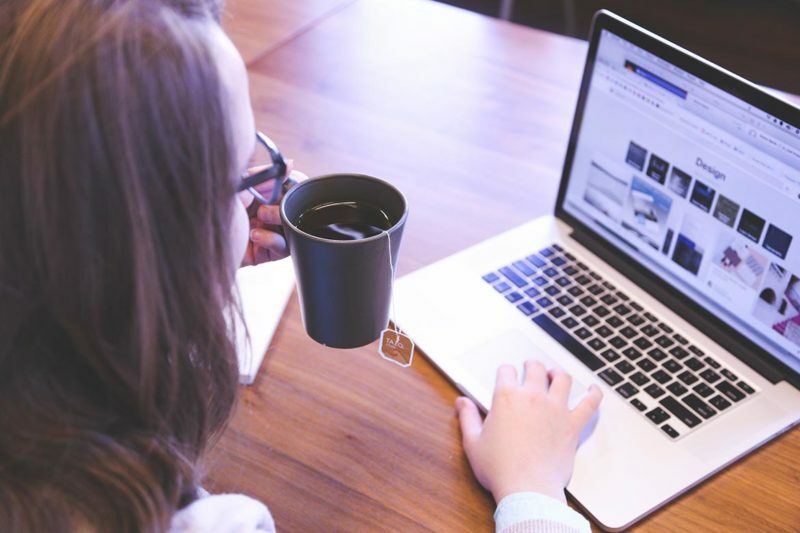 This can fix many problems you are experiencing and is a lot quicker than to try and manually troubleshoot the issue yourself. Once open, you can sort by CPU, Memory, Disk, ect. And see what is using up your resources. Also, if an application has frozen. 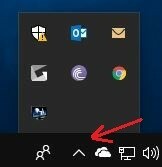 You can right click on it here and then “End Task” This will close the application and you can just restart is as usual. 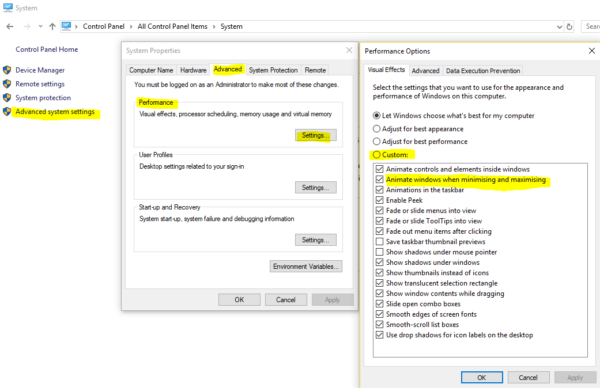 Here, you can either, click on the radio button and select “Adjust for best performance” Windows will turn off animations. Or better still, click on the radio button “Custom” and uncheck the animations you do not want. 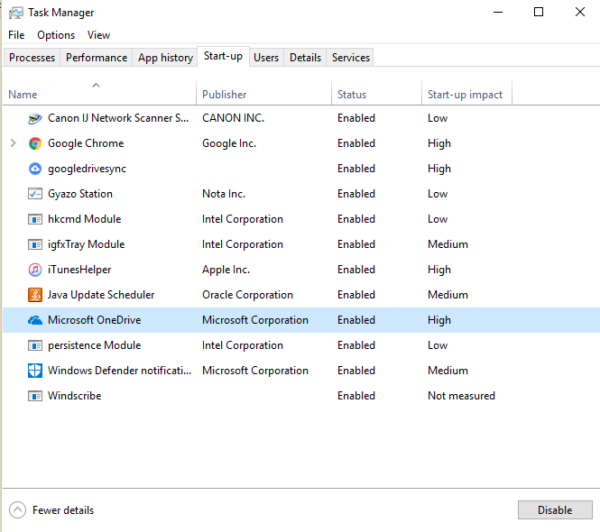 These are a few steps that should help rectify issues for why is my computer so slow with windows 10.